How to watch Keith Lemon: The Film (2012) on Netflix United Kingdom! 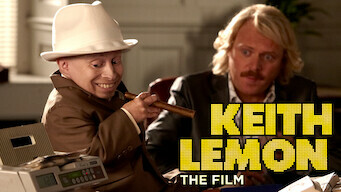 Yes, Keith Lemon: The Film is now available on British Netflix. It arrived for online streaming on April 14, 2019. We'll keep checking Netflix United Kingdom for Keith Lemon: The Film, and this page will be updated with any changes. In this rags-to-riches story with a twist, an off-the-cuff idea and a slew of mobile phones turn entrepreneur Keith Lemon into a business tycoon. An unscrupulous, dim-witted entrepreneur. A public obsessed with shiny new objects. It's a match made in London.